Buying a recliner chair with lumbar support is one of the best ways to support your back and decrease back pain. Recliner chairs are typically very comfortable, but when you get one with lumbar support you can be sure that your back is getting the level of comfort that it needs. 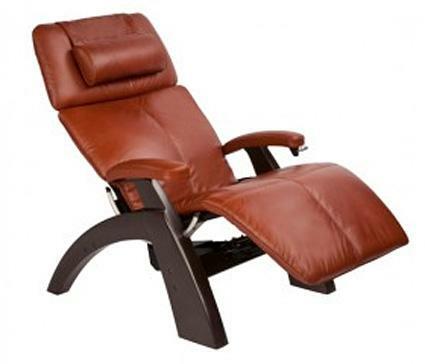 A lumbar support recliner can make a difference in your comfort level and even your posture. The right recliner for you will depend largely on what features you are looking for. Below are some of the best recliners available featuring lumbar support to provide comfort, and in some cases, added style to your decor. One of the most popular and talked about chairs for lumbar support and overall back wellness is The Perfect Chair. Designed by NASA, it's considered the ultimate chair for back luxury. It has some custom-styling details that allow you to select fabric, and even opt to add an extra layer of memory foam padding. However, the manufacturer state that the extra padding isn't necessary since the chair is designed to evenly distribute body weight. This configuration is designed to relieve pressure points. An exclusive feature of this chair is the patented Orthonomic™ body frame with built-in lumbar curve. There's also a self-inflating lumbar pillow to support your lower back. Zero gravity neutral position naturally decompresses the vertebrae and relieves muscle tension, soreness and fatigue. It also elevates your legs above the heart for improved circulation and extended lung capacity. Four models are available for all heights and an extended foot rest is available for very tall people. Backstore Customer Reviews: Both new and refurbished chairs receive excellent reviews with comments about how comfortable the chair is. Endorsement: Onsite video features a recommendation by Dr. Shawn Dill, world-renowned chiropractor. Find a local dealer for Human Touch chairs. You can have a recliner and a rocker in this great power recliner. LA-Z-BOY®'s latest technology is packed into this PowerReclineXR+. The chair sports a power-tilt headrest and power lumbar. Just use the handheld remote to adjust your chair. Adjust the back and leg rest to any combination of positions; you also get power lumbar support and a power-tilt headrest adjustment. La-Z-Boy Customer reviews: Very favorable reviews, especially the praise for the lumbar support feature. Find a local La-Z-Boy store. If you have a smaller room or are petite, finding a recliner that fits just right isn't always easy. This Dewey Wallhugger Recliner is upholstered in leather and built on a smaller scale, making the chair ideal for smaller rooms or petite buyers. The chair reclines outward away from the wall. The seats back is removable so you can transport or move with ease. The removable back also gives customers the option of customizing the lumbar support to an ideal comfort level since the pads are attached with industrial-strength Velcro to make adjustments easy. Find a retailer for Best Home Furnishings. 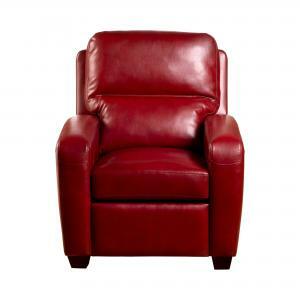 The Brice Club Recliner with lumbar support is upholstered in premium bonded leather with a top stitch finish, including a structure track arm. The wood legs are tapered adding to the sophisticated contemporary style. The high-density foam seat also has an inner-spring system for added comfort. You can enjoy a Leggett & Platt reclining mechanism that gives smooth gliding into three different positions. Heavy gauge steel sinuous spring construction ensures a quality chair. Wayfair Customer Reviews: Customers are very pleased with the comfort and look as well as the modest price. Call Opulence Home for a local retailer: (888) 416-2983. 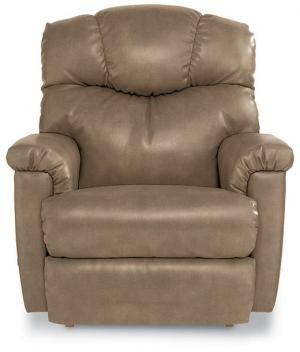 The Rawlinson Swivel Recliner is upholstered in a distressed brown microfiber with nail head trim accents. The chair frame is made out of hardwood with sinuous spring construction and features a lower lumbar support. The reclining mechanism is by Leggett and Platt. Amazon Customer Reviews: Customers are mostly very satisfied with the chair, although a few complained about the height being for taller people. The lumbar support received good reviews. Find a local retailer for Coaster Furniture. If you need a little help getting up and down from a chair, then consider this full lift recliner. The Catnapper Omni Power Lift Full Lay-Out Heavy Duty Capacity Chaise Recliner is a classic design with a backrest and plush pad roll arms. The fabric is a polyester, acrylic and cotton blend for easy cleaning. The chair features a 100% steel seat box and a spring system, heavy 8-gauge sinuous steel springs and is powered with a 3-way mechanism. Cymax Customer Reviews: Customers love their lift catnapper and most remark that they have indeed napped in their recliner. Find a local retailer for Catnapper recliners. While you can get a good idea of how a recliner is constructed through browsing online, until you actually sit in the chair, you have no idea how it will conform to your body. If you're unable to visit a furniture store in-person to test drive a recliner and instead order it online, be sure you understand the return policy. Some companies charge back the shipping costs, so be sure there aren't any additional fees that you may incur should you be dissatisfied with your purchase.